You’ve developed a brilliant idea for a new website. You’ve arranged for hosting, design, payment processing, advertising and so on. You’re working the SEO grindstone–getting backlinks and spidered and Google PageRank. So, when are you going to become a *real* business and incorporate? Websites are more than hobbies…they are businesses. Whether your site is your full time income, or a substantial part time income (or you expect it to one day GROW to that level), you need to treat your site like a business. In today’s world, *real* businesses are incorporated. Should You Incorporate Your Website / Web-based Business? Deciding whether to incorporate your website and/or web-based business is a large decision. Not only does incorporating cost a few dollars (though not much in the grand scheme of business expenses), but you will also have more administration and paperwork to do. The primary benefit, in my view, is number 1: limited liability. In particular, the corporation or LLC allows you to bring in “partners” (called “shareholders” in a corporation and “members” in an LLC) to invest in your business without becoming personally liable. So limited liability is about making it easier to raise funds from investors. Note, incorporating does not make it easier to attract pure business credit from financial institutions such as banks and credit card companies. All new businesses, if they’re offered a credit card or line of credit, will require an authorized signatory to be personally liable. In english, that means that if you sign the card, you pay the bill (if your business can’t pay, you pay personally). Limited liability also gives you, personally as owner/operator, some protection against lawsuits aimed at your business. This protection is fairly strong, but not invulnerable. If you don’t follow corporate formalities, mix personal and business money, and do a few other no-nos, your corporate veil can be pierced and you held personally responsible. It’s actually not that easy in real life to pierce the corporate veil, and it’s usually done only in fairly extreme circumstances. Part 2. Does your website create liability that would require incorporating? The two main benefits of limited liability are the ability to attract outside passive investors (who would never enter a partnership with you out of fear of personal liability), and avoiding personal liability. So, the first question to ask yourself is, do you think that your website will generate potential lawsuits. Secondly, are you going to try to raise outside money for your website or web based business? If the answer to both of these is no, then the case for not incorporating is strong. Part 3. Does your website business need extra credibility with suppliers and joint venture partners? Sometimes, incorporating is more about the image your business presents to others than the limited liability provisions. For example, if your website sells products, some suppliers prefer to work with corporations or LLCs rather than individuals. Many wholesalers, for example, will only work with businesses that have sales tax id numbers (issued by the state) and federal employer identification numbers (FEIN or EIN issued by the IRS). Your plan might be to form strategic alliances or joint ventures with other business. 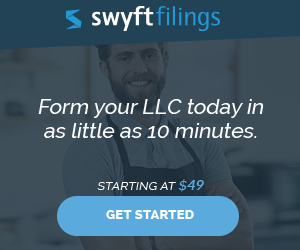 Many will prefer and feel more comfortable if you have formed an LLC or corporation. Think about it from their perspective: If you’re not committed enough to your business to spend a few hundred dollars to incorporate or form an LLC, or the few hours to do it yourself, then how serious are you really about your business? So, ask yourself if your website business involves joint ventures and strategic alliances with other companies. If the answer is “yes”, then that’s a point in favor of incorporation. Part 4. The bottom line. If you have more than one of the above needs, then you should strongly consider forming an LLC for your website. If your website isn’t going to be exposed to liability, you don’t need investors, strategic alliances, or have suppliers that refuse to deal with individuals, then you can safely skip the process of forming an LLC or incorporating. Keep your home address private even when running a business from home by using a registered agent. The articles below will walk you through the process of turning your site into a true business while maximizing your after-tax income and protecting your personal assets from the risks of lawsuits. 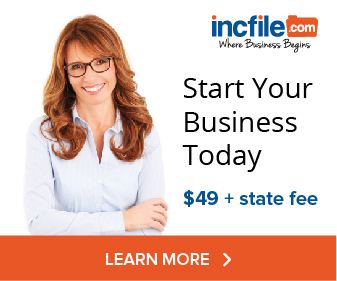 Does Your Online Business Need To Be Incorporated? You can file your Articles of Organization yourself and save about $100-200, is it worth it? Find out here. How to get your hard-won Adsense and affiliate income out of your business checking account and into your pocket–without running afoul of tax and veil-piercing rules. Learn how to pay yourself here. Don’t lost the protection of your corporate veil over sloppy work habits. Learn the right and the wrong way to sign a contract for your business. Is your website finally making money? Learn the right way to deposit that check to protect your separate corporate identity.